Ken Hammond wrote a book, Judgments Under Stress, published in 2000. He was clearly frustrated with how the field of psychology dealt with stress and used his book as a vehicle to change the discussion. Hammond really wants to talk about constancy while stress is a constancy disruptor. Hammond’s mentor, Egon Brunswik, saw constancy as the essence of life. Hammond asserts that the orientation of the organism is directed toward maintaining stable relations with the environment, and that disruption of those stable relations is the definition of stress. Hammond sees a clear link with constancy and evolution. Our ability to perceive distance, our prey, the weather, etc correctly is a key factor in survival. We would also expect that this correspondence constancy would be highly resilient to external trauma. Correspondence constancy should be highly resistant to heat, cold, high winds, blows to the body, and other disruptive events. What Hammond sees as more susceptible to stress is coherence constancy. Coherence constancy refers to a person’s ability to apply the same coherent principle to a problem, despite its various forms of display or presentation. Hammond suggests that the Gestaltists have shown over and over that we have the capacity of intuitive coherence through often perceiving what ought to be present rather than what is is present. But analytical coherence must be taught. Hammond suggests that you look at his 1996 book, Human Judgment and Social Policy, for such elementary failure in coherence constancy in Supreme Court opinions. Hammond asserts that the demands for coherence constancy are greater now than in the time of the hunter gatherer. 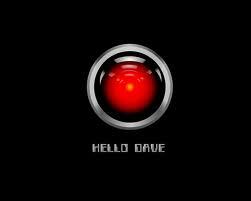 Many otherwise incoherent environments have been engineered into coherent forms that demand coherent cognition. Getting the logic of the problem correct despite its various forms of symbolic presentation is now survival related. This is abundantly obvious on the flight deck of an airliner, on a ship on the high seas, in the control of the launch of nuclear weapons, or a power generating plant. Hammond sees correspondence and coherence as complementary and that the disruption of both types of constancy is the key issue in the study of stress and human judgment. Disruption of correspondence constancy can require entirely different cognitive activity depending on task circumstances. Endogenous disruption or disruption within the system itself, such as the loss of an information providing instrument in an airliner, will, if assistance is not available, require change in cognitive activity. This means changing along the cognitive continuum between analysis and intuition. The direction depends on which constitutes the initial, now failing, mode of cognition. Hammond provides two such examples. 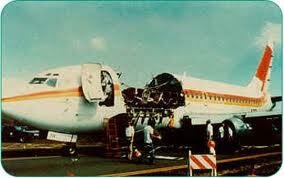 United Airlines #232 where the plane lost all means of control provides the example of intuitive innovation. 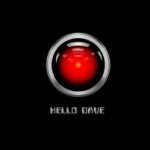 The crew changed from analytic pursuit of a solution that meant slowly checking various parts of the operating system “to rapid intuition based, perceptual motor learning.” They learned how to fly the plane by means of changing the application of power between the right and left engines. It was imperfect, but it saved many lives. 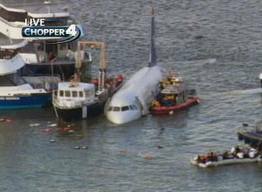 This is similar to the even more successful 2009 ditching of US Airways #1539 by Captain Sullenberger. In that case, he made the decision that they could not make it to LaGuardia or Teterboro and successfully landed in the Hudson River. Simulators have justified that decision. I would need Hammond to interpret this situation, but it seems like a blend of analysis and intuition or as Hammond would call it, quasi rationality. Hammond refers to the book Young Men and Fire, for his second example of analytic innovation. 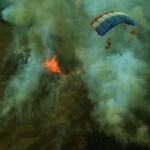 Smoke jumpers parachuted safely along a gulch, but found the fire had exploded was rapidly coming toward them. 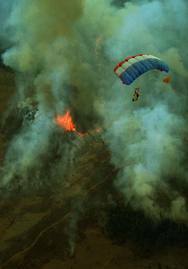 Most of them used their intuitions to run up the slope away from the fire. Most of them perished. The foreman shifted to an analytical plan whereby he lit a small grass fire, ran into the center of it, and laid down in the ashes. The main fire went around him and he was saved. 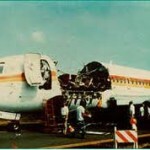 Hammond points out the example of Aloha Airlines #243 where the airliner lost a significant part of its fuselage during flight. Because the operating system remained intact, the crew had to suppress creativity while overcoming the decompression and noise so loud they had to use hand signals in the cockpit. Hammond’s conceptual framework is that both environmental events and cognitive activities must be considered jointly, differentiated adequately, and their interaction should be the main focus. Time pressure is a stressor only in connection with analytic processing since one of the defining properties of intuitive cognition is its rapidity. This makes it less of a threat for quasi rationality because it demands less analytic work than pure analysis. Common disruptions of constancy should be differentiated on whether they are endogenous or exogenous and which cognitive mode is in operation. Hammond sees the airline example as particularly relevant in the need to be vigilant against and incorrect cognitive shift. Leaders and followers should be taught to accept cognitive change, but much more research is needed to determine how this might be done. This entry was posted in Analysis, Coherence, Correspondence, Intuition, Situations/stressors and tagged Brunswik, Hammond on May 21, 2013 by admin.